I grew up in a small rural factory village, Årnäs Bruk, by the lake Vänern in western Sweden. There was a glassworks with two galleasses that were used to ship bottles to Carlsberg and Tuborg Breweries in Copenhagen. 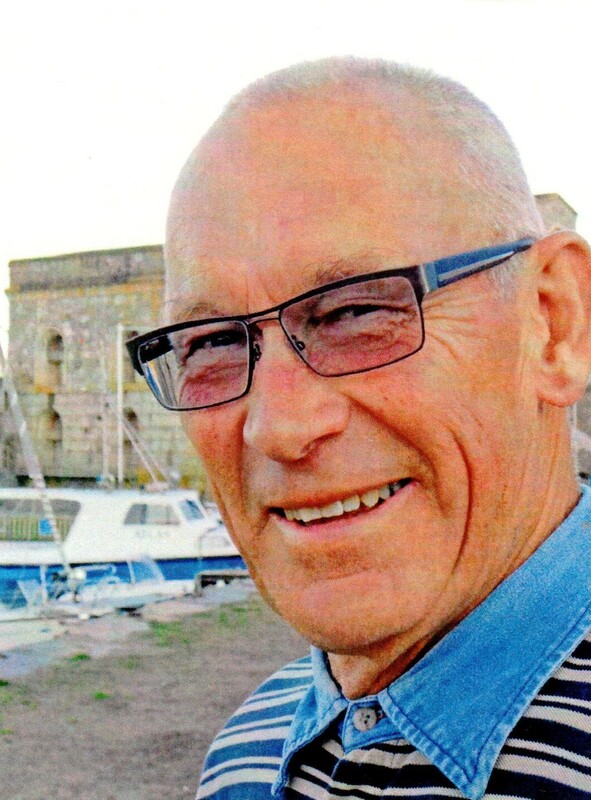 On one occasion at the age of seven or eight my father, who was an administrator at the works, took me with him aboard one of those vessels for a trip to another factory town, Forsvik. The journey through various lakes, canals and locks took the whole day and was very exciting for a boy of my age. When leaving school many years later I wanted to try a professional life at sea - to see other horizons beyond my home lake. Said and done! 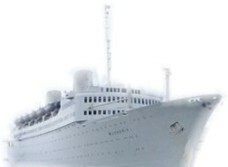 Two times a year the Broström Shipping Corporation recruited command pupils: twelve for navigation and twelve for ship engineering. 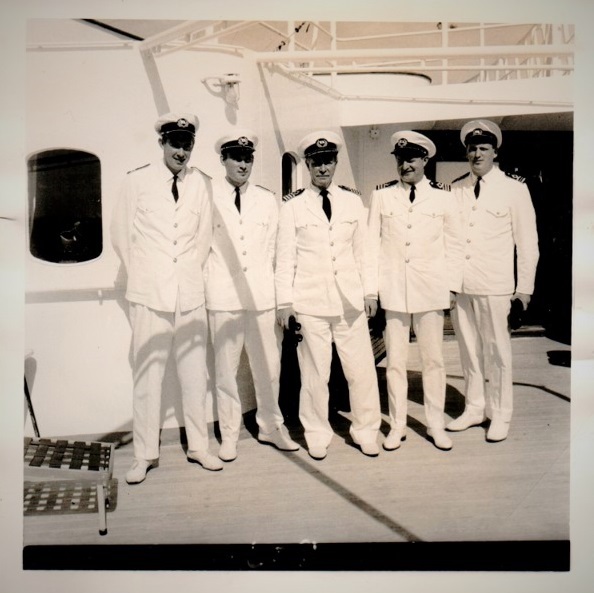 I was fortunate to become admitted to the navigation officer program. 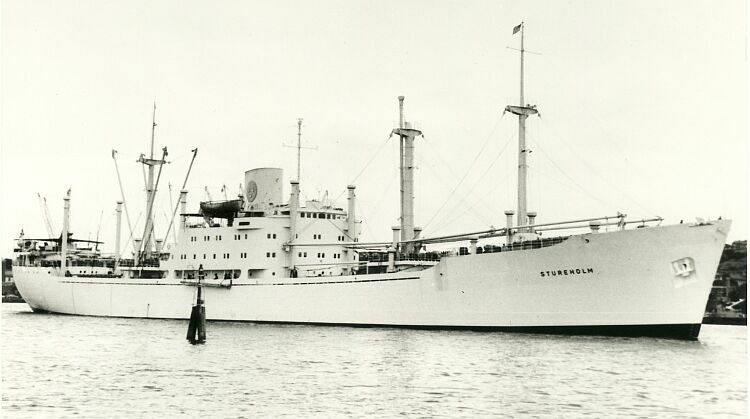 And so, my career at sea began in July 1959 when I signed on the school vessel of the Swedish American Line: M/S Stureholm. 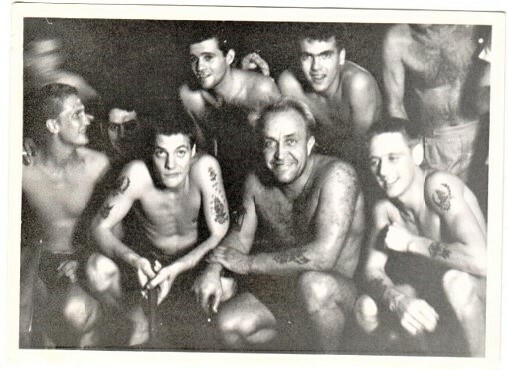 [Ed.Note: in 1946 the cargo ships of the Swedish American Mexico Line had been merged into the Swedish American Line. Subsequently, several new freighters were added to the SAL fleet]. SAL's training vessel Stureholm Photo: Lars Grundberg collection/Faktaomfartyg. 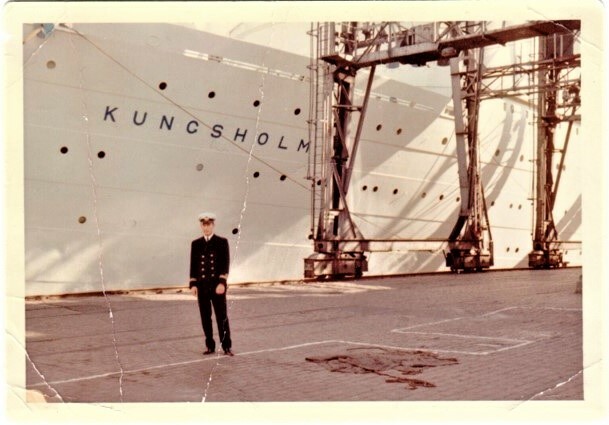 Nils Haggård in the summer of 1964, signing on M/S Kungsholm for the first time. 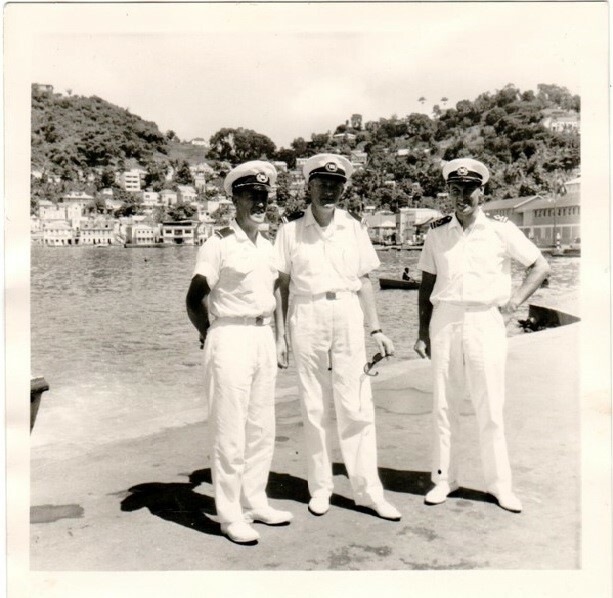 Captain Henry Sölve; Chief Officer Lars-Erik Granqvist; 2:nd Officer Inter Kjell Smitterberg. 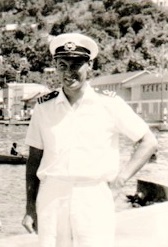 M/S Gripsholm on 4 November 1965 in St George´s, Grenada. From the left: Ulf Karlsson; Åke Holm; Nils Haggård. 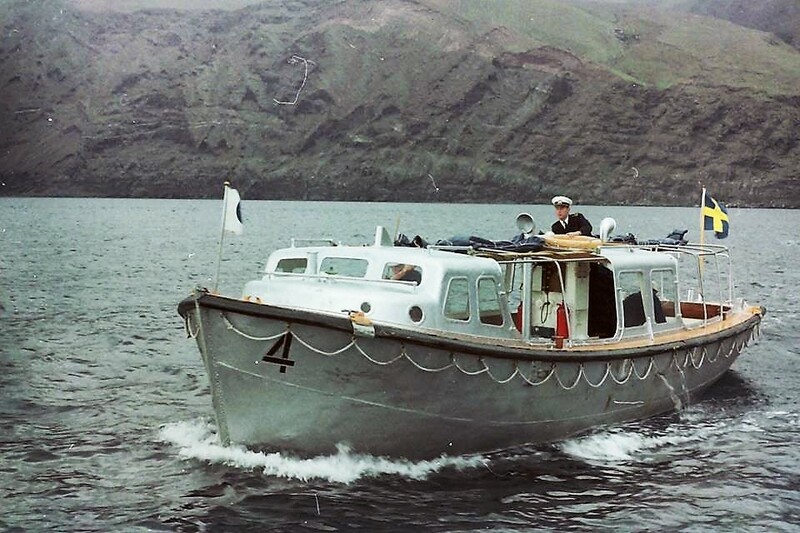 Nils Haggård at the helm on a Gripsholm tender at the Galapagos Islands in 1966. Photo: Hans Karlsson. (subsidiary of the Broström Shipping Corporation). No names. 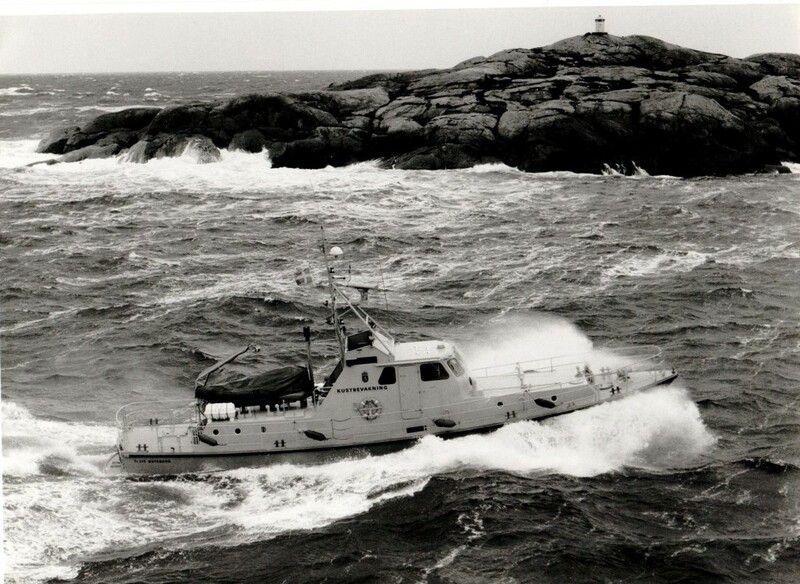 KBV 275 of the Swedish Coastguard struggling forward in a gale 1987 with Nils as Commander. Photo taken at Hönö Huvud in the North Sea, off the Gothenburg coast. 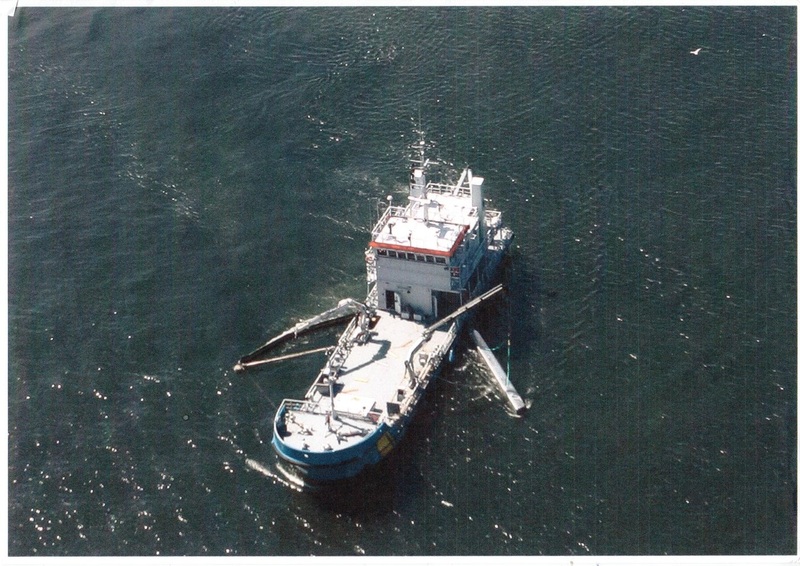 Fighting oil spills at sea.